This is a post about fire and regulation. But don’t worry finance fans, I get on to money and crisis eventually. The parallels between fire and finance are rather striking. Disturbing, too. Last week I drove from my house in London to visit my mum in my childhood home just north of Bristol in the west of England. As I drove, the route took me over the Westway and past the burnt out hulk of Grenfell Tower. There is a sense of shock in seeing the blackened stump – so familiar from newspaper and TV pictures – appear before you in real life. A sense of shock made more intense when you think that the burnt tower is a giant mausoleum in which 80 people died and in which many may still lie. I say 80, though police admit that, due to the intensity of the blaze and the practice of tenants sub-letting the (mainly social) housing in the tower, the true toll may never be known. The disaster, one of the worst in British history, has generated intense anger. It is easy to see why. The victims were mainly poor and in large part from immigrant communities. They were choked or burnt to death in clear sight of some of the most expensive houses in Britain in arguably the single richest borough in Europe. They had even warned the council about their concerns about safety and been ignored. Naturally, there is going to be a public enquiry, although there is already unhappy wrangling about the limitations of its remit. The fact that the enquiry has not yet begun has not stopped some commentators setting out their view of the causes of the catastrophe. A popular take on the issue can be summarised by the statement that, “the problem was not tower blocks and architecture, it was Capitalism and cost-cutting”. The fact that the deaths occurred in social housing that had recently been upgraded and refurbished by private contractors makes this seem very credible. Reports that the exterior cladding used on the block was either illegal (hence its installation was a result of corruption or cost cutting by the council or contractor) or legal but deadly (which suggests insufficient regulation from a Government dedicated to loosening ‘red tape’) appears to support the view. But is this picture of the UK being a deregulated, corner-cutting country with a poor record of fire safety correct? Are deregulation and ‘Capitalism’ strongly related to dodgy fire safety? Well, it certainly did not appear to be in 2007. Check out the chart (Figure 1) from a report by FEMA (part the US Fire Administration). [i] It shows the number of fire-related deaths per million of population for various countries. I reproduce it below with the UK highlighted. What is striking about this data is that the rates vary so much by country and that there is no obvious economic or ideological pattern visible in them. Careful, tidy Switzerland has a low rate, which seems to make sense. Collectivist Netherlands? Ditto. But then, with rates significantly higher than the UK, there are countries that you might assume were the opposite of the Capitalist-free-for-all, red-tape-slashing tendency: Sweden, Denmark, Norway, Japan, Finland. Even if you adjust the UK’s toll for the appalling tragedy at Grenfell Tower (an extra 1.2 deaths per million if the 80 number is right) the relationship still holds. And in case you are wondering who introduced these regulations into the UK, it was the ‘deregulating’ Thatcher government in 1988 with their Furniture and Furnishings (Fire) (Safety) Regulations Act. Overall, I think it is true to say that the picture of the links between fire safety and a country’s private-to-public-sector balance – its degree of ‘Capitalism’ – is more complex and nuanced than some suppose. The confused view extends to the way that, in recent weeks, the towers that have been found to sport the same flammable cladding as Grenfell (over 180 of them at last count) are scattered all over the country in councils controlled by political parties of all persuasions. The stuff has also been used on hotels and stadiums, too. So how did it come about that a country with a decent record of fire safety has such a widespread problem? In short: regulatory obsolescence; regulatory confusion; regulatory arbitrage. How this happened is a little complicated, so please bear with me as I explain. One regulatory document that specifies fire safety requirements in England is the Approved Document B. This says that, “in a building with a storey 18m or more above ground level any insulation product, filler material…. etc. used in the external wall construction should be of limited combustibility”. How do you figure out ‘limited combustibility?’ You try to set the material alight and, if it doesn’t burn, it gets a rating of A2 or better. Then, according to the regulations, you can use it. Simple, no? But actually it isn’t. The reason it isn’t is that it is not just the State that regulates safety. There is an ‘approved inspector’ regime. This means that certified professional bodies can sign off on safety. All of these fall under the umbrella of the Building Control Alliance, or BCA. Also, because the guidelines are a bit old (regulatory obsolescence) the fragmented approval regime has had to try to keep pace with new building technology like cladding. So the routes to getting your building ‘safety approved‘ are now more various. You can just go for using A2 material. That’s old school, option 1. Or you can use some non-A2 material in your design, rig up a section of how you would like this stuff to be used and try to burn it. Pass and you are golden. That’s option 2. Then there is option 3. In option 3, a ‘desktop study’ can be done. This is where an inspector writes a report saying ’this combination of building elements looks good, I think it’s safe’. It’s a kind of modelling exercise. Of course, there is a strong element of precedent in all this. Once a design has been given the nod by one desktop study, the next study can cite the first one, and so on. It’s self-supporting. Building firms like the desktop study route because it is quicker (and, no doubt, cheaper). As a result of this muddle of obsolescence, confusion and arbitrage we have Grenfell – a tower block that was covered in what were, in effect, firelighters. And which left 80 people dead, lest we forget. So what does this have to do with finance, the stated purpose of this blog? We are coming up to the 10th anniversary of the Great Financial Crisis. Some people think this happened because of deregulation. Actually, I think they are wrong. The banking system was regulated. It was just regulated badly and in a way that allowed systemic issues to build. Clear guidelines on risk (capital adequacy etc.) had become out-dated. How could they cope with new technology like CDOs? The old rules assumed that there were ‘safe’ products – the equivalent of A2 cladding – like AAA bonds. But firms wanted to go beyond just AAA bonds. They wanted AAA tranches. That’s where the ‘safety approvers’ got involved. In the world of finance they were called ‘ratings agencies’. They approved new combinations of financial stuff by using the equivalent of the building industry’s ‘desktop studies’. They modelled the outcomes taking a theoretical approach. Products that were made of substandard junk (the equivalent of flammable cladding) were said to be safe because of the combination of their components. Once an approval had been granted to one such product it became easier to provide the same certificate of safety to other similar ones – just as ‘desktop studies’ self-supported themselves in the building industry. The products spread throughout the market. And what was the end result? A gigantic financial conflagration, the embers of which are still smouldering. So the question we should be asking is whether the new regulatory regime for finance (fragmented as it is between competing economic blocks) could prevent another such build up. Where do we need to look to find the financial world’s new flammable cladding? And will we be safe when the next spark hits it? 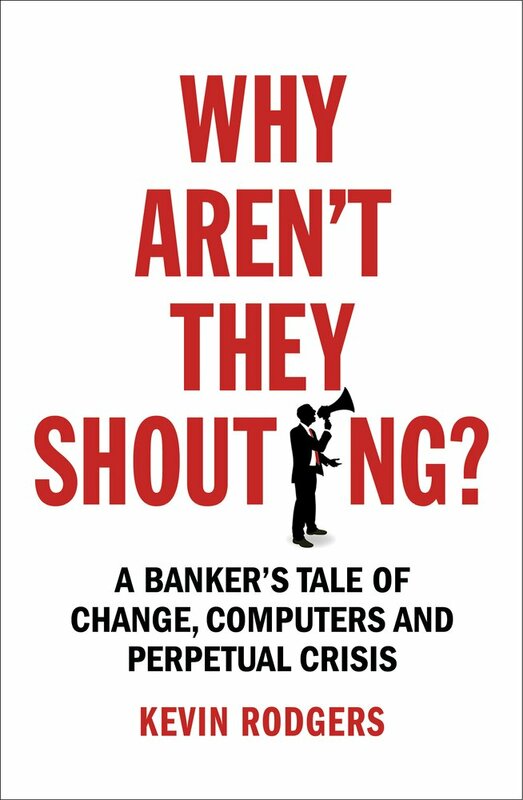 Buy the new edition of Kevin Rodgers’ book ‘Why Aren’t They Shouting?’ at Amazon.